I received my FANTASTIC package from Rachel Edson (check out her blog!) and let me tell you what, she hit the nail on the head with this one. 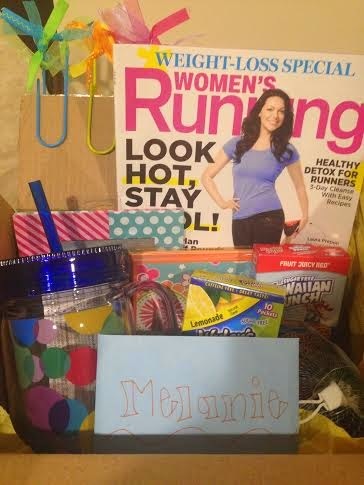 I loved everything she included - definitely a box of sunshine! -Homemade (extra large) paperclips that will be perfect for my planbook! -Running Magazine because "I swear I'm going to get into running"
I can't wait to participate in the next SLANT box! If you're interested in more information or how to participate, check out Lesson With Coffee's blog! That's such a fun SLANT box!